Each module on your website can be controlled in Global Settings. Many of the settings can be overriden in an individual article, but here is the place to direct site wide preferences. Push Headline into Meta Tags -This practice has been deprecated, so should be set to NO. Allow Comments–Indicates if readers are allowed to comment on your articles. You may choose between no, yes with moderated comments or yes with unmoderated comments. Permission can be overwritten at the article level. Member Comments–Select Only Members to restrict comments to members only. You must have the Member module installed. Member Articles - Indicates who can submit articles, everyone or only members. You must have the Member module installed. Notify Commenters – Select Yes to send an email to every person who adds a new comment to a story. Email Notifications–Select Yes to receive an email notification each time a comment is added to an article. This option is recommended so you can keep track of comments posted to your site. Email Address–Enter an alternate email address if you want article posting notifications sent a different email address than the default in Email Settings. 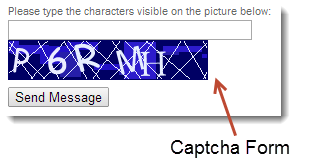 Display Captcha–Select Yes to require comments to be validated by Captcha forms. This recommended option prevents spammers from posting automated comments. Size of Excerpts–Specify number of characters to display for excerpts (typically 200 characters). Must be between 50 and 400. Most-Read Limit – If your website shows a list of Most Read articles, you can limit for the number of days old articles can be to appear in the Most Read box.The system defaults to 30 days, so if left blank, only articles published in the past 30 days will appear in the Most Read box. Articles older than the period specified will be ignored. Choose a number between 1 and 365. Most-Commented Limit–Enter the limit for the number of days old articles can be to appear in the Most Commented box.The system defaults to 30 days, so if left blank, only articles published in the past 30 days will appear in the Most Commented box. Articles older than the period specified will be ignored. Choose a number between 1 and 365. Category Limit–Enter the limit for the number of days old articles can be to appear on the category pages. Articles published in the last X days will appear unless the articles are set to Show Always. Articles older than the period specified will be hidden. Leave this setting empty or at 0 if you want to show all articles in category pages. RSS Feed Name – Enter a name for your RSS feed. If left blank, defaults to “yoursitename.com–News”. RSS Feed Desc. – Enter a phrase or sentence that describes your RSS feed. If left blank it will be set to “yoursitename.com–News”. Search Page – Select a specific page template search results should be sent to. If none is selected, search results are sent to the page configured as the default for the “Article” plugin (see Web Pages). Unlock Private Articles - Select Yes from the drop-down menu to make all private articles visible to anyone. Article Private Message – Enter a message to display when articles are restricted to members only. This setting applies to articles where the Private field is selected. This option applies only to websites programmed with a member login. Paywall Expired Message - Enter a message to display when a subscriber's access to the paywall has expired.